Our friends at the Irish Family History Centre have used exclusive Findmypast records to piece together the past of Canada's Prime Minister. During his recent visit to Ireland, Canadian Prime Minister Justin Trudeau enjoyed a tour of EPIC The Irish Emigration Museum. While there, Mr. Trudeau was also presented with previously unknown details of his Irish roots by our very own Brian Donovan. 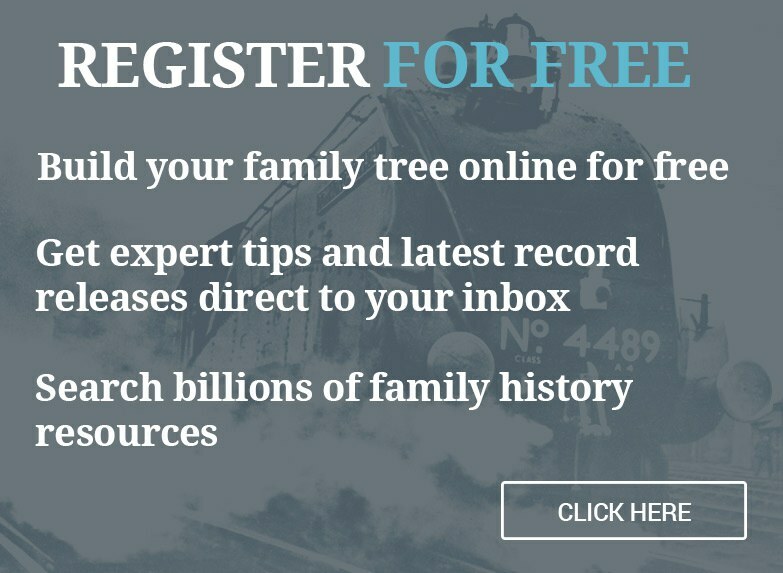 The research into the PM's family history was carried out by an expert team of Irish Family History Centre genealogists, led by Fiona Fitzsimons, who uncovered an exciting story of his Irish family settling around the globe. On his maternal line, Justin Trudeau is descended from the Bernard family of Cork. 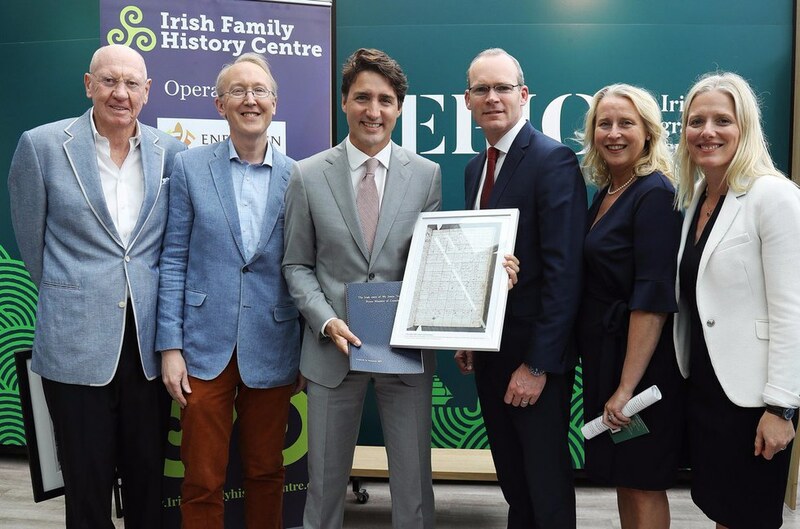 Using Findmypast's vast Irish record collection (the largest anywhere online), Fiona and her team discovered that Trudeau's great x 8 grandparents married in the Diocese of Cork & Ross in 1661. Francis Bernard would go on to die while defending Castlemahon against a Jacobite attack during the Williamite War in 1689. It seems politics runs deep in Trudeau's lineage. Francis' son, Arthur served as High Sherriff of Cork in 1697 and 1706 and M.P. for Bandon in Cork from 1713-14. Fiona and her team also discovered that Trudeau's great (x 6) grandfather, Arthur's son, Francis studied in Trinity College Dublin before eventually relocating to England where he settled in Westminster, London and raised a family. The line of high achievers continues in London where Francis' son Charles served as Comptroller of Taxes for the City of London, and Steward to the Master of the Rolls. The Irish Family History Centre used Findmypast's exclusive Westminster parish records to uncover the baptism of Charles' son Francis James in 1796. From here, Trudeau's ancestors go global. Francis James Bernard entered the Indian colonial service and he married Esther Farquar in St. John's Cathedral, Calcutta in 1818. His records were discovered in our unique British in India Collection. The couple later moved to Singapore where Francis James would become a founding member of the Singapore Police Force. Francis James' grandson, Charles Bugden Bernard continued the family tradition of globetrotting. Along with his wife, Annie Oliphant Purvis, he lived in Singapore and Australia before eventually settling in Canada. Charles and Annie are Justin Trudeau's great x 2 grandparents.